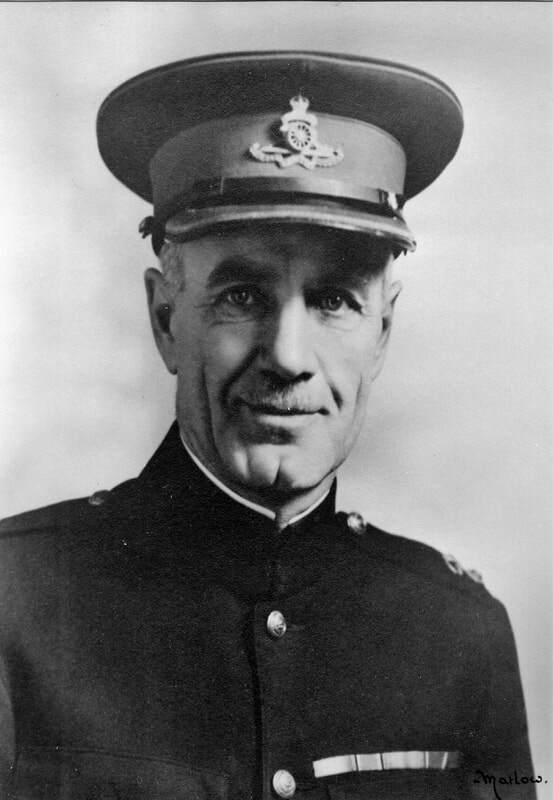 Warrant Officer Class II Robert J. Watson EM promoted Warrant Officer Class I and appointed Regimental Sergeant Major on 1 October 1939. 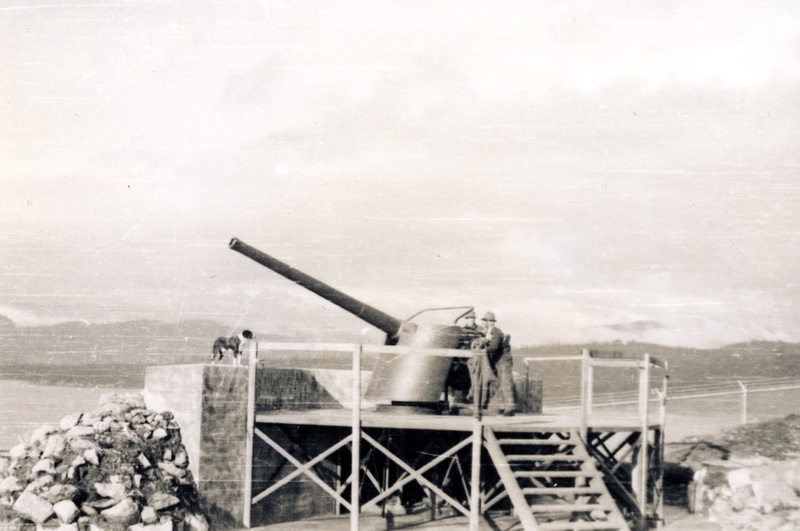 The 68th Heavy Battery and the 15th Brigade's attached 5th Battery provided the initial manpower and became the 9th and 11th Batteries of the new 1st Anti-Aircraft Regiment on 5 May 1939. 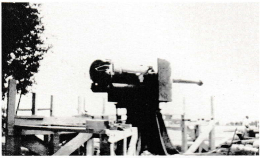 The need for personnel to man the searchlights which were to be used in conjunction with the coast artillery necessitated a new organization. 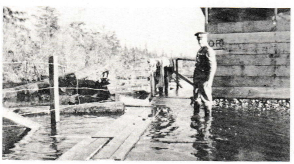 This was solved by disbanding the British Columbia Hussars (Armoured Car) to create the 1st Searchlight Regiment RCA. 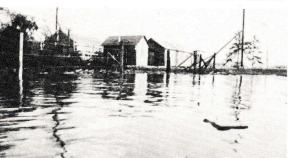 in May, 1939. Although the Hussars were designated armoured car, their vehicles consisted of motorcycles with sidecars and Morris sports cars - hardly armoured! 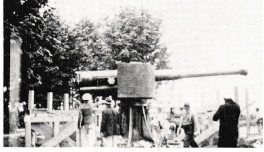 As with the 1st Anti-Aircraft, equipment would be a long two and a half years in arriving. 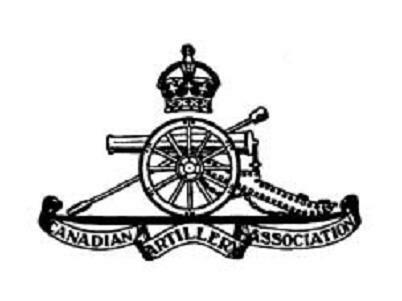 This was the only searchlight regiment formed in Canada; elsewhere only units of battery size were formed. Although the Brigade was now coast artillery, it did manage to retain the beloved 18 pounder for the purpose of firing artillery salutes on such occasions as Dominion Day, the King’s Birthday, and visits of the Governor General. 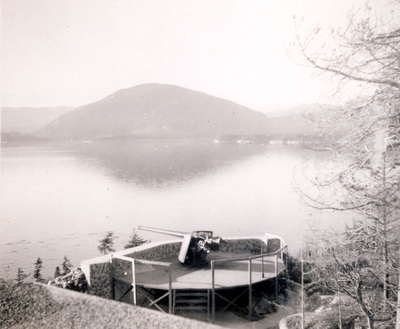 Salutes were usually fired from a point near the nine o'clock Gun in Stanley Park. War clouds continued to gather in Europe as the Brigade sailed for what was to be its last peacetime camp at Esquimalt in July, 1939. 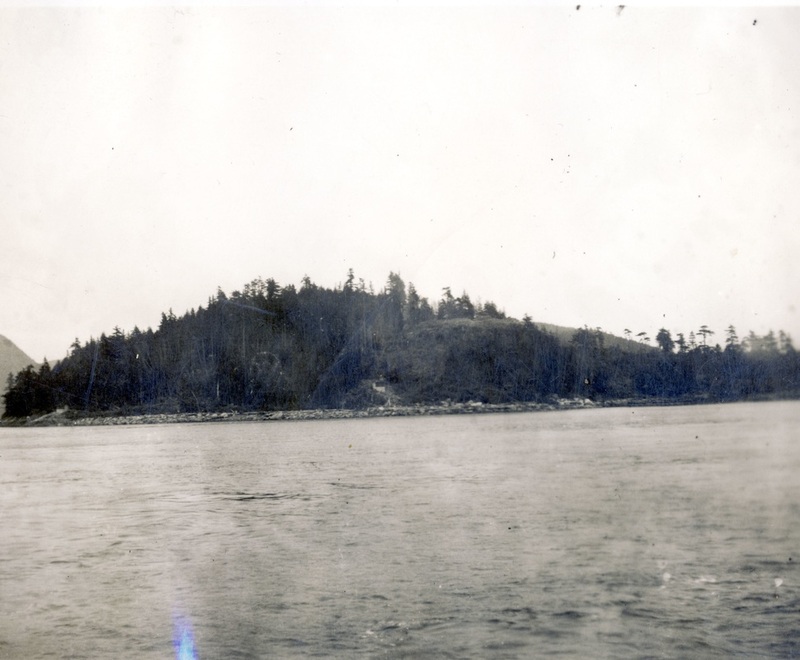 Few were to dream that August would see many of them practising their newly learned skills in the forts of Vancouver and Yorke Island. 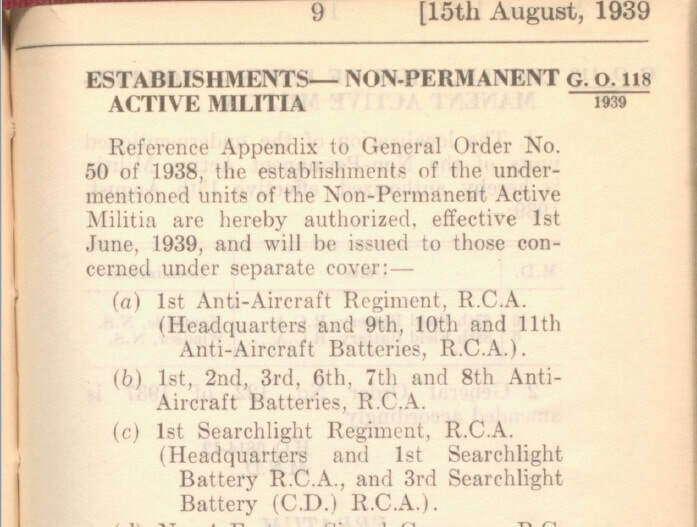 The local newspapers in 1939 gave a continual run down of the local military forces. 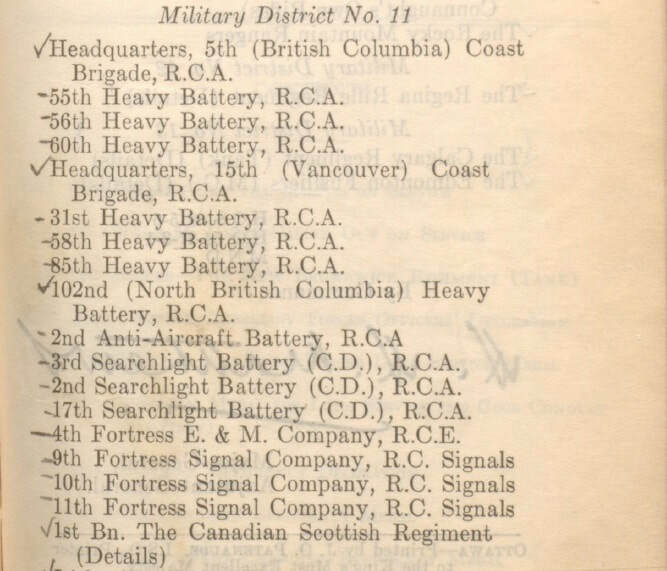 The 15th (Vancouver) Coast Brigade RCA and its batteries, the 31st Heavy Battery RCA, 58th Heavy Battery RCA and 85th Heavy Battery RCA are called out pursuant to the authority granted the Minister of National Defence. 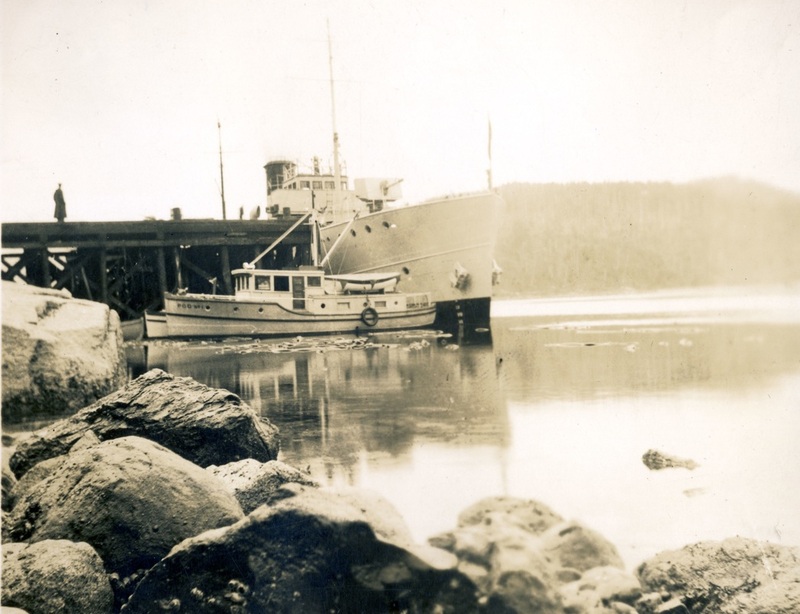 ​For the gunners of Vancouver the Second World War began fifteen days before Canada's declaration of war against Germany. 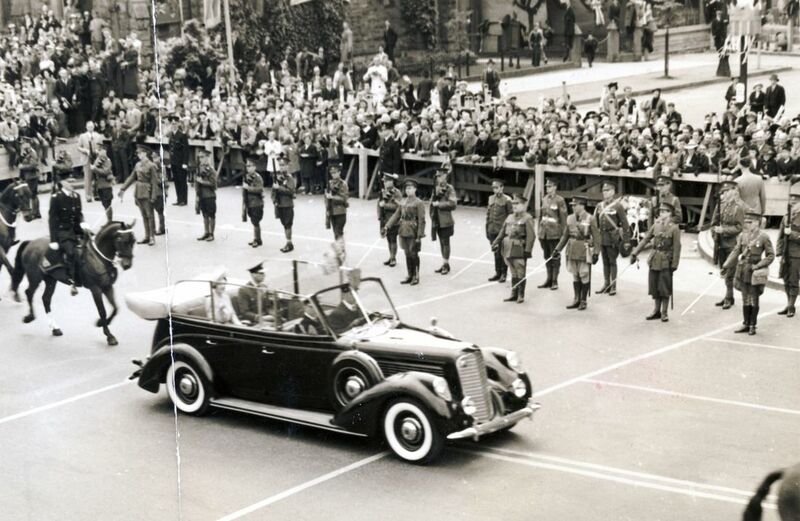 The Allies' reaction to Nazi aggression against Poland had been anticipated. 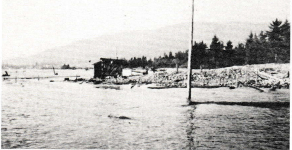 On August 25th Ottawa ordered the mobilization of three Vancouver militia units, including the 15th Coast Brigade. 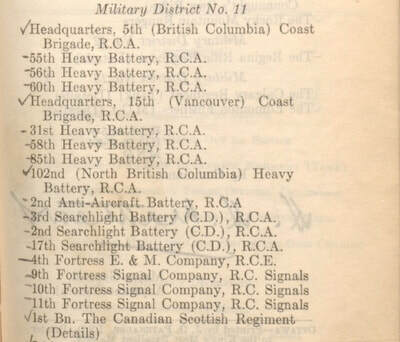 The callup for the 1st Searchlight Regiment (formerly the B.C. 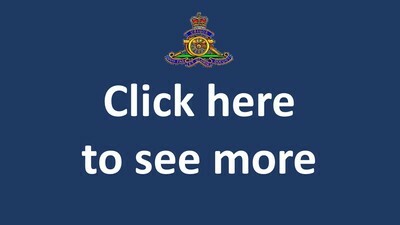 Hussars) soon followed. From Victoria the 5th (B.C.) Coast Brigade, Royal Canadian Artillery, went out to man the coastal forts at Esquimalt and Albert Head. "The militia will cover vulnerable points throughout the province as part of a pre-arranged programme of defence" said Brigadier J.C. Stewart, commander of the military district. 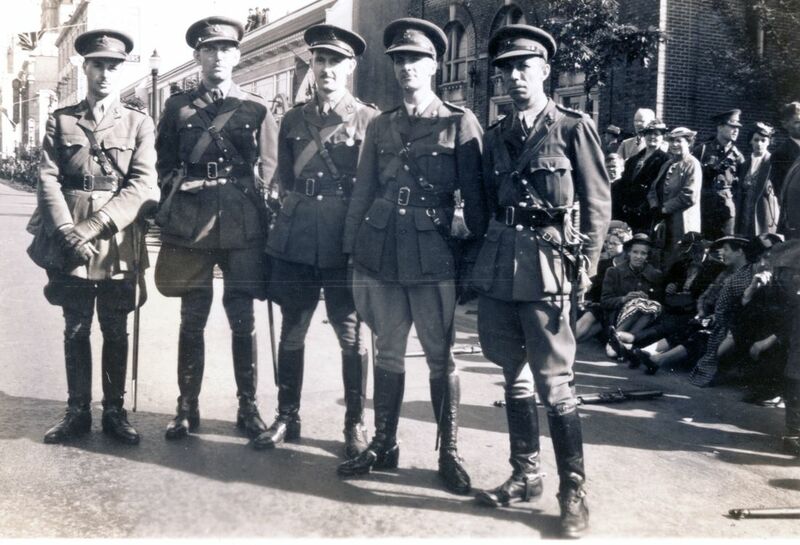 The men were still free to choose whether or not to accept fulltime service with the army. 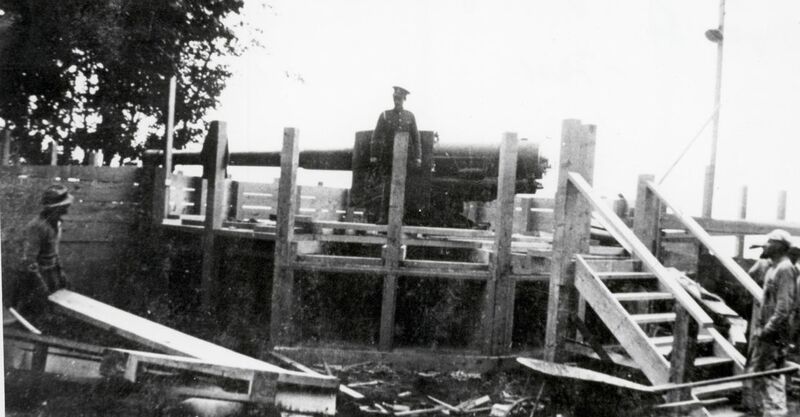 "This army is becoming too bloody dangerous" quipped an officer as the gunners assembled at the Bessborough Armouries to volunteer and to be assigned their duties. 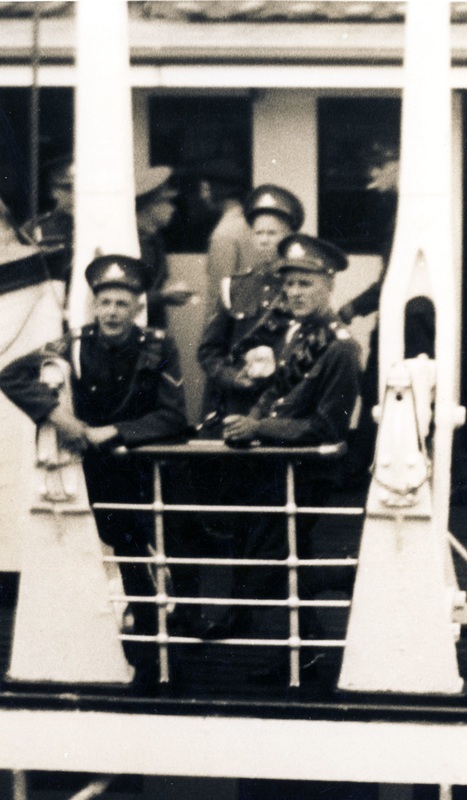 A detachment, the 85th Heavy Battery, sailed for Yorke Island on the night of the 29th. 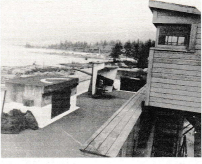 The 31st Battery of the brigade took charge of the nearly-complete battery in Stanley Park and six men were detached to occupy the north side of the First Narrows. Pending the completion of huts on Point Grey, the 58th Battery was quartered in the armouries. 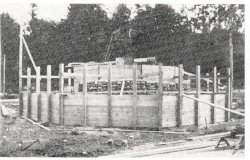 Construction of the Narrows North fort proceeded at a faster pace. 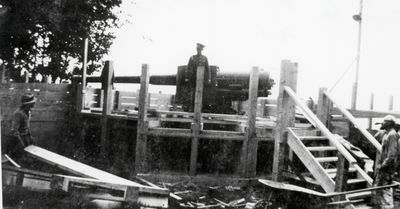 Two 12-pounder guns had been provisionally located on a gravel spit at the mouth of the Capilano River. 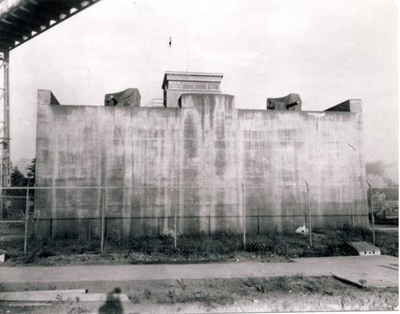 On October 6th, 1939 they were moved to the roof of the three storey, concrete "gantry" beneath Lions' Gate Bridge. 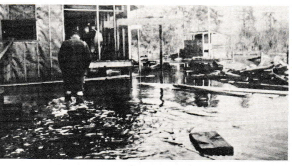 It was not a moment too soon since two weeks later heavy rains flooded the old gunsites and half of the camp. 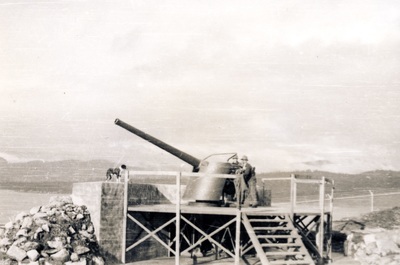 To assist the guns at night, eight manually-controlled, 18-inch reflector searchlights were installed on the north shore. 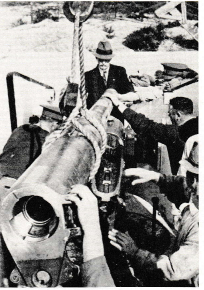 It was said that some of the searchlights had come from Niagara Falls where they had illuminated the cascade for honeymooners. They were used in a similar fashion by the gunners of Narrows North who illuminated the ferry to Victoria as it carried away a newlywed comrade. 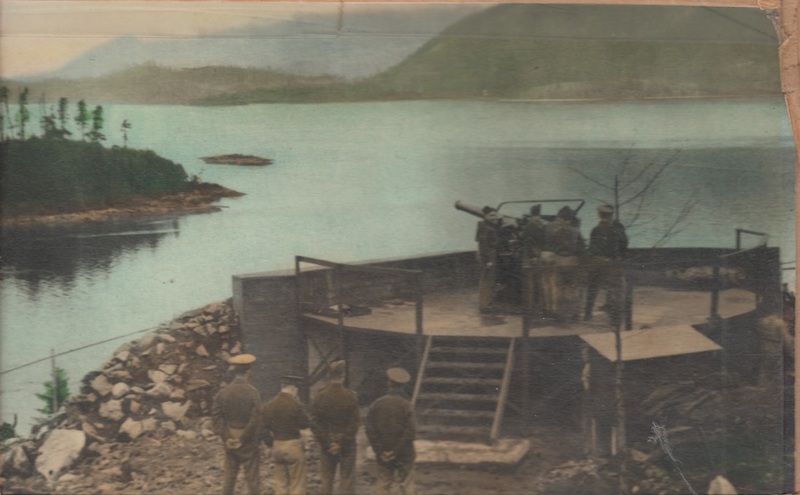 It was also a favourite trick of the soldiers to flick the beams onto Prospect Point after midnight and, with the aid of binoculars, watch surprised lovers disentangle themselves to escape the all-revealing glare. 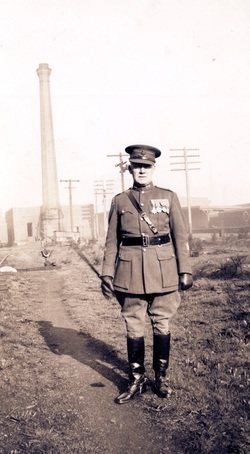 The 85th Heavy Battery war diaries have been placed on a separate page. New accommodation construction begins at Little Mountain. 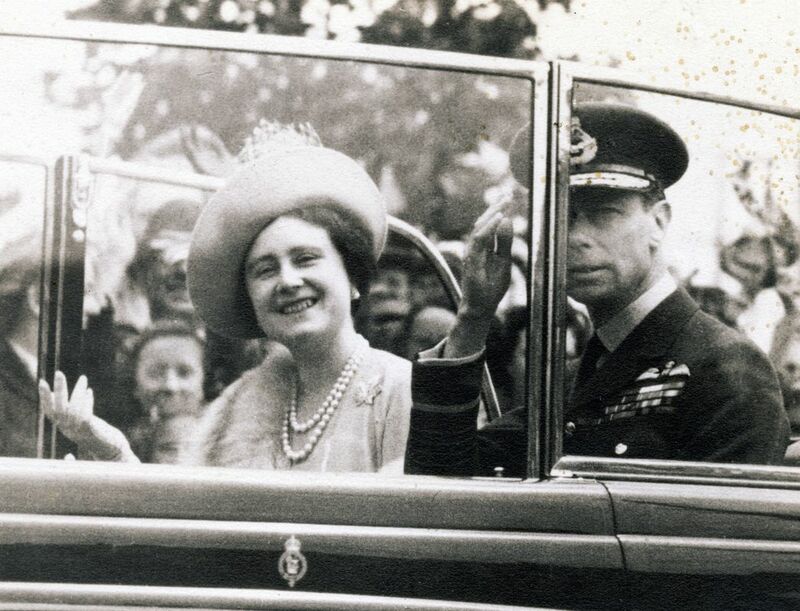 The 1939 royal tour by King George VI and Queen Elizabeth was the first time a reigning Canadian monarch had stepped foot in this country. 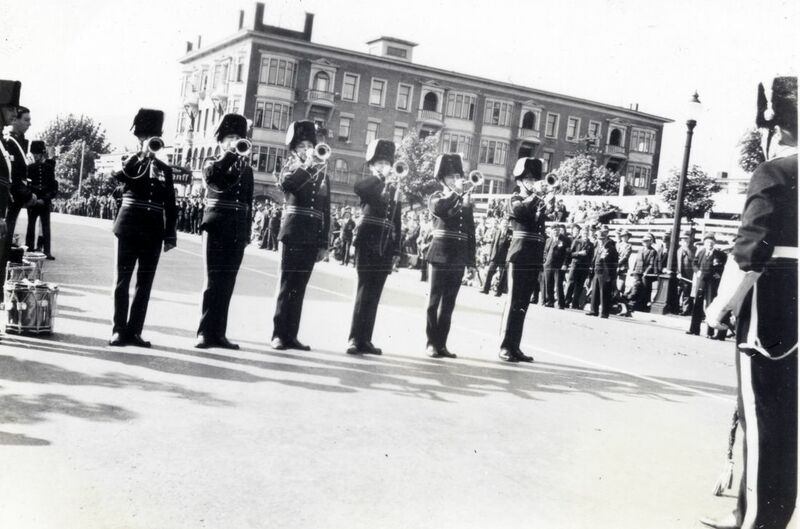 The King and the Queen stopped in Vancouver, Victoria, and a number of other smaller communities in British Columbia. 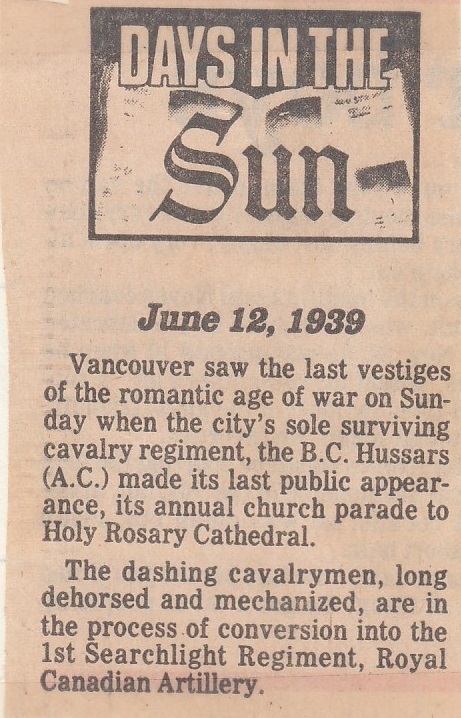 Mackenzie King was enthused, stating in his diary on May 29, 1939: "The day in Vancouver was one of the finest on the entire tour." ​Even the Christmas Party at Bessborough Armoury was of interest to the newspaper. There's a Christmas tree, tall as the sky . . . or at least as the roof of the Bessborough Armories. And there's going to be clowns and fairy-tale pages, ice cream, oranges, candy, Santa Claus and presents for all the little boys and girls whose daddies are in the R.C.A., wheteher they were good all year or not. 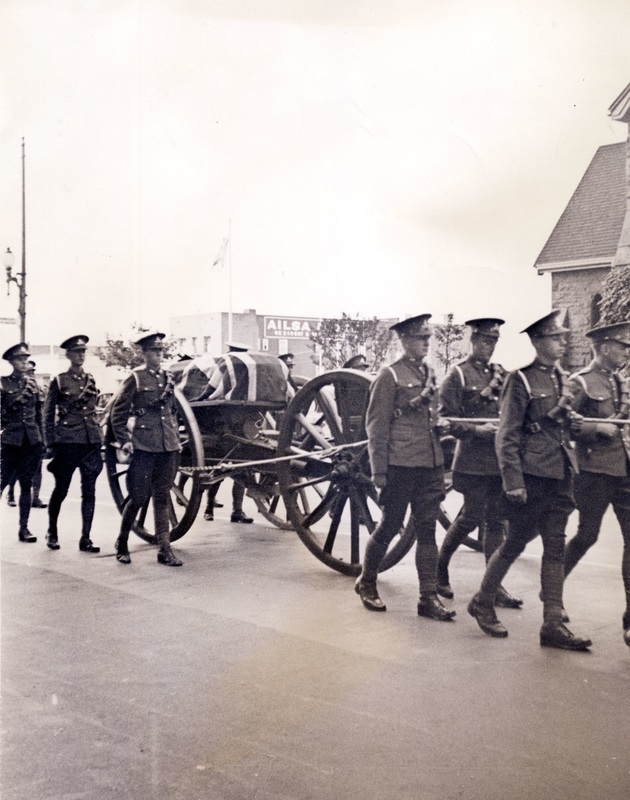 Things are humming today at the Bessborough Armories, where the members of the Lions Gate Riding and Polo Club War Service make ready for the children, wives, sweethearts and men of the 15th Vancouver Coast Brigade, R.C.A., the 1st Anti-Aircraft Regiment, R.C.A. 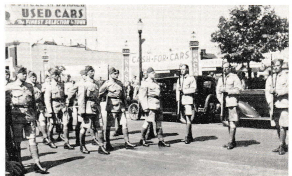 and the 1st Searchlight Regiment, R.C.A. Mrs. Doran Miles, and her large committee, spent all day Thursday in the Armories lining the walls with holly and evergreen and long streams of bunting. 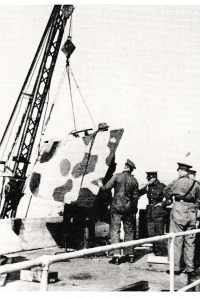 One squadron drilled nonchalantly round and about the roof high Christmas tree while its members hung its branches with glittering tinsel snow, silver bells, baubles, coloured lights and good old-fashioned strings of popcorn. Industrial accompaniment to the drilling and decorating was the chorus of hammers putting up the stage. 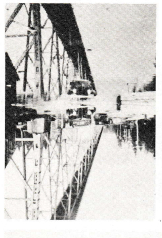 Meanwhile, in their own homes, Mrs. J.P. Nicolls, assisted by Mrs. David Sloan multiplied 1500 people by sandwich capacity to figure out what refreshments will be needed. 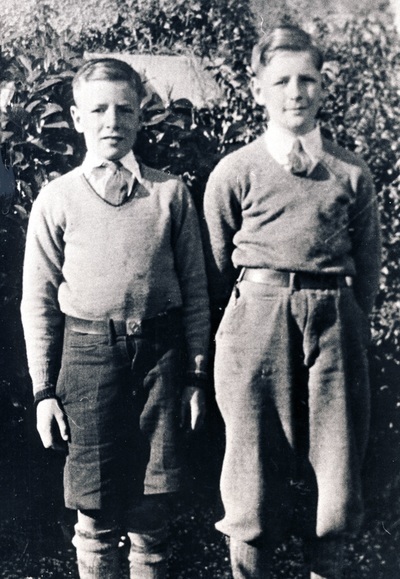 About 170 members of the club will be needed to serve the sandwiches, cake and ice cream. That isn't counting the twenty odd members of the intermediate group who will be upstairs assisting Mrs C. W. Tysoe serving the three hundred children. 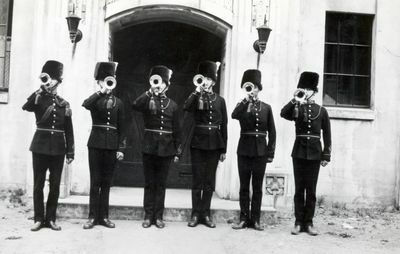 Junior members in page uniforms will act as messengers and will be Santa's little helpers, when the distribution of gifts climax the evening. 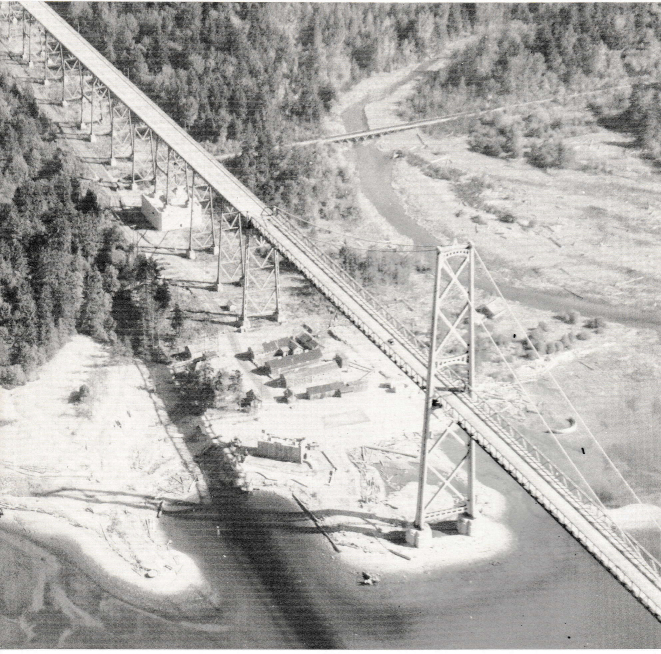 The party will be officially opened at 7:30 p.m. by Major Austin C. Taylor, honorary president of the Lions Gate Riding and Polo Club. Mrs. Taylor will also be a special guest, as will Col. and Mrs. H.F.G. 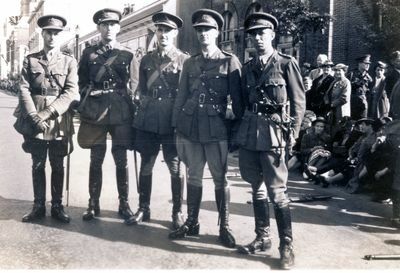 Letson and members of the war service advisory board, including Senator and Mrs. J.W. deB. 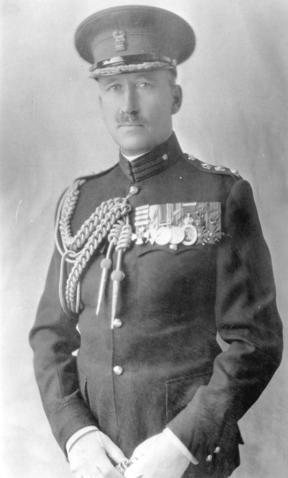 Fatris, Lieut-Col and Mrs. W.C. Woodward, Mr. and Mrs. H.R. 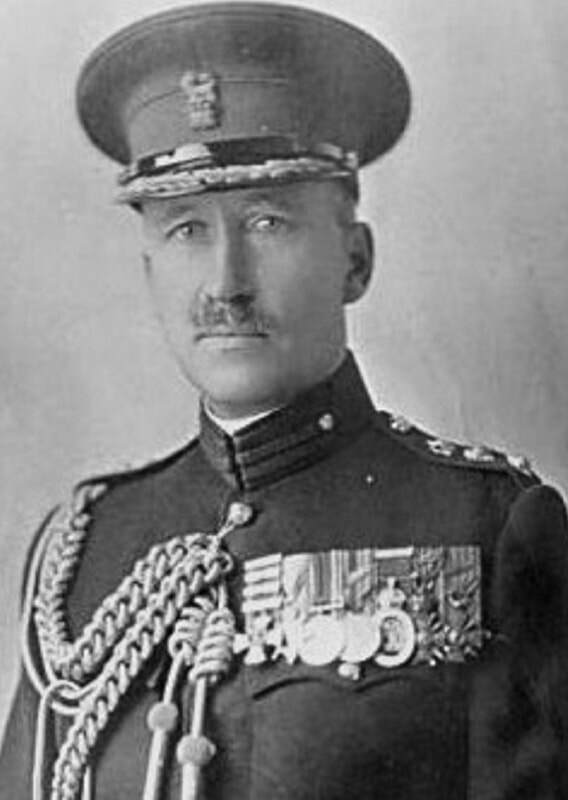 MacMillan and Col. and Mrs. A. D. Wilson. 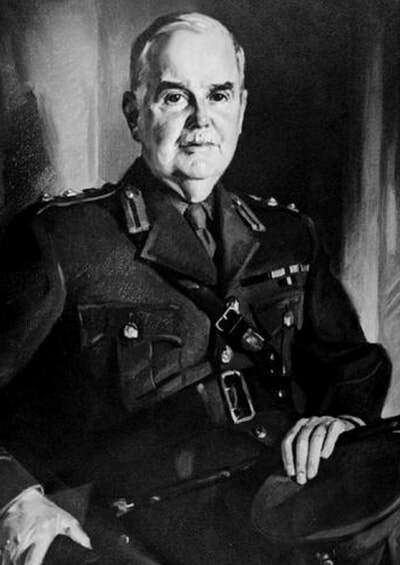 A corps of younger members of the club will distribute cigarettes during the evening, under the convenership of Mrs. John Montgomery. 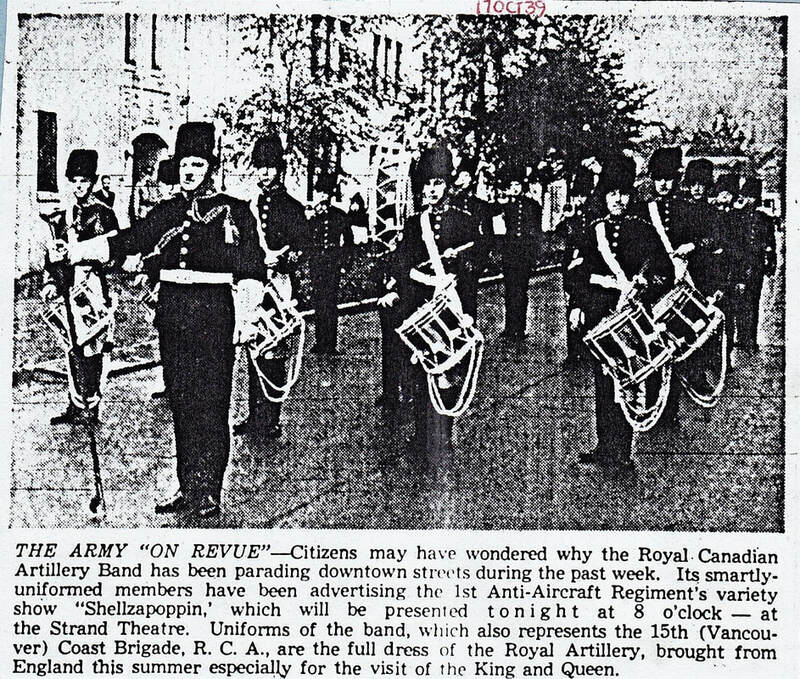 ​The band participates in a performance at the Seaforth Armoury prior to acquiring their full dress uniforms from England. 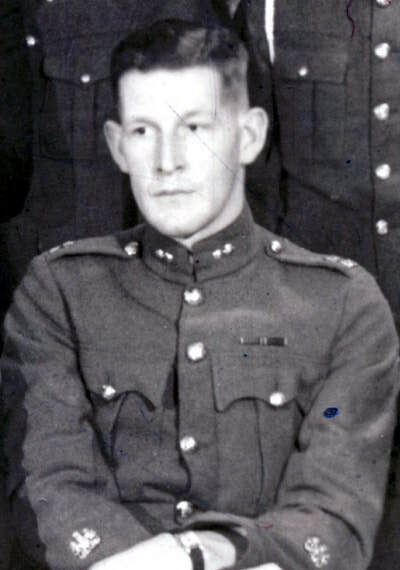 Bombardier Norman Stanley Bajus died in a tragic accident at Point Grey on 14 September 1939.